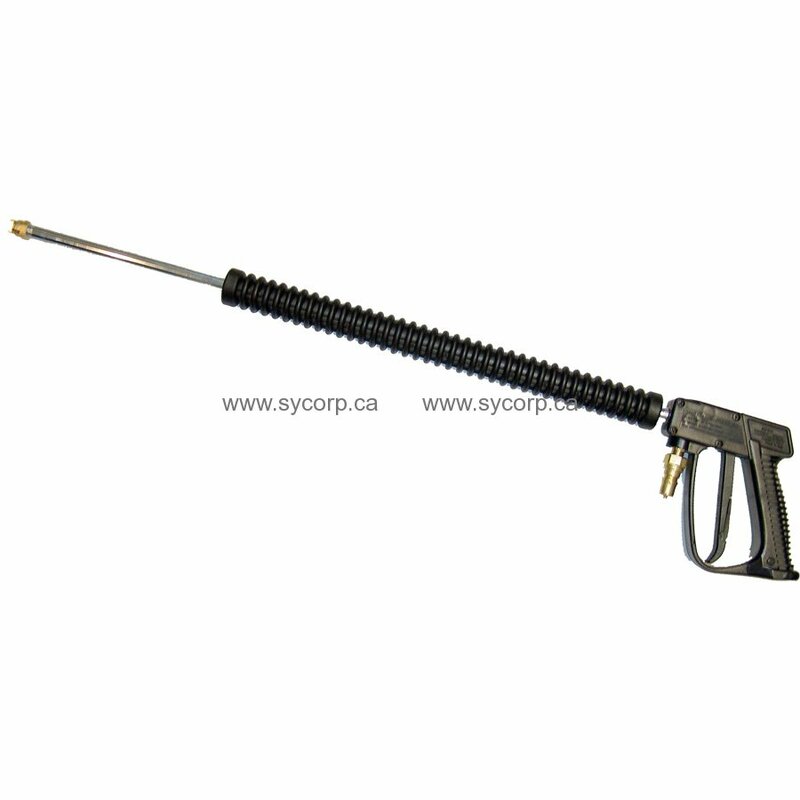 This ergonomically-designed gun is a great tool for all your pressure wash needs. Rated at 1,850 PSI and 5 GPM. Insulated 24" Straight extension for use with hot water.